Our Very First Winter Session is Coming…help spread the word and you could win a FREE COURSE! 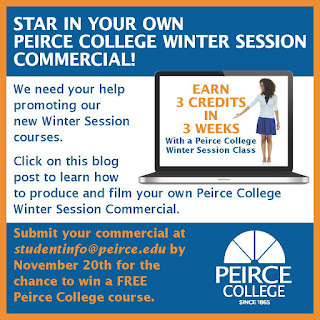 Earn 3 credits in 3 weeks with Peirce’s new online winter session! 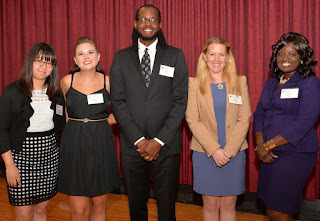 Peirce faculty are here to help. Enroll by December 14th. Contact your Academic Advisor today! Everything else is up to you! Make it funny, make it serious, make it studious; whatever you choose, just let people know they can get a jumpstart on spring semester by earning 3 credits in 3 weeks during Winter Session! Videos will be shared on Facebook and the community will vote for the best video. The winner will get a free Peirce College course. 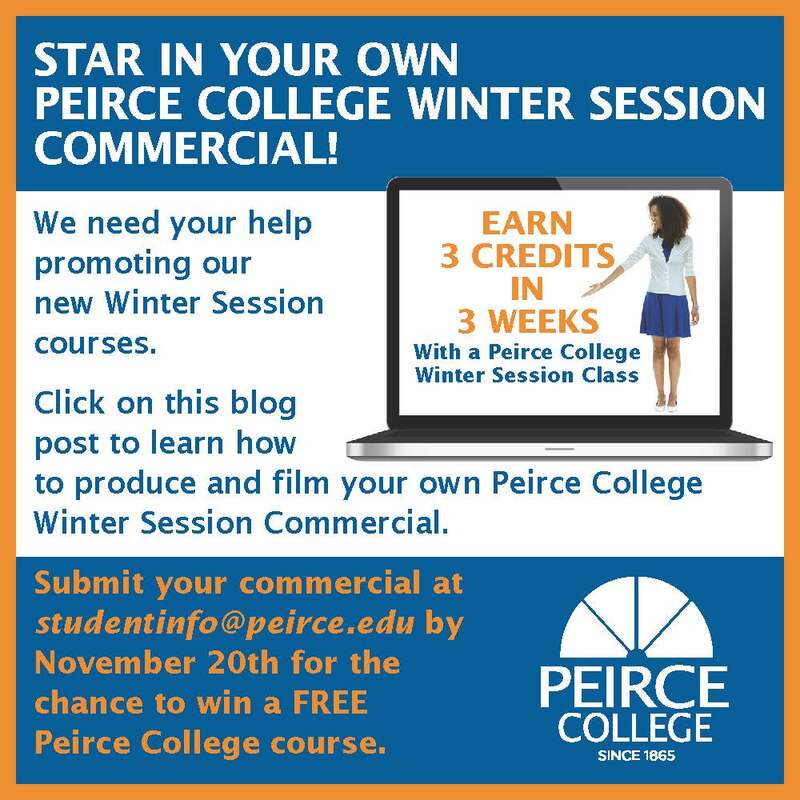 And, in addition to receiving a 3 credit course free of charge, the winner’s video will also be published on the Peirce College advising portal and Peirce College's YouTube channel. Remember, creativity is encouraged! More details about the voting process will be coming soon on the blog, so stay tuned! If you would like to view an example of a Winter Session commercial to get your creative juices flowing, click here. To enter the contest, email your video to studentinfo@peirce.edu by November 20th. Good luck! If a winter session course sounds like the right fit for you, contact your academic advisor today at advisingcenter@peirce.edu. The deadline to enroll is December 14th. 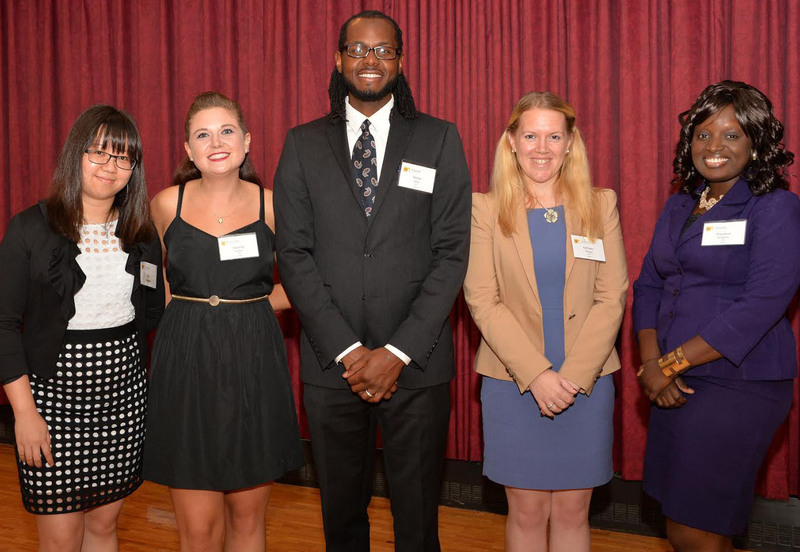 Since we were founded in 1865, Peirce College has evolved our support services to meet the unique needs of working adult learners. 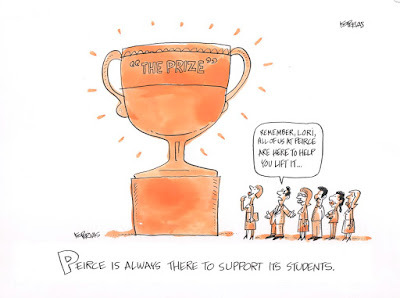 From our decision to start offering night classes at the turn of the century, to being a pioneer in online education in the early 2000’s to our new flexible interchangeable delivery format, Peirce is always looking for how we can best bring education and support services to our students and help them achieve their goals. 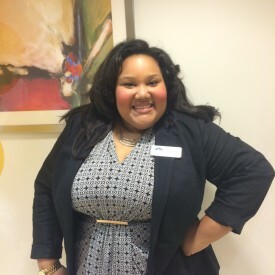 At The Walker Center, we use a customized approach to work with students and identify the best support services for them. Whether you prefer one-on-one tutoring, learning with a group by taking a workshop, or building a support network by participating in student associations, we can help point you in the right direction. For more information on Peirce’s customized student support services and how they can make higher education accessible for you, click here.